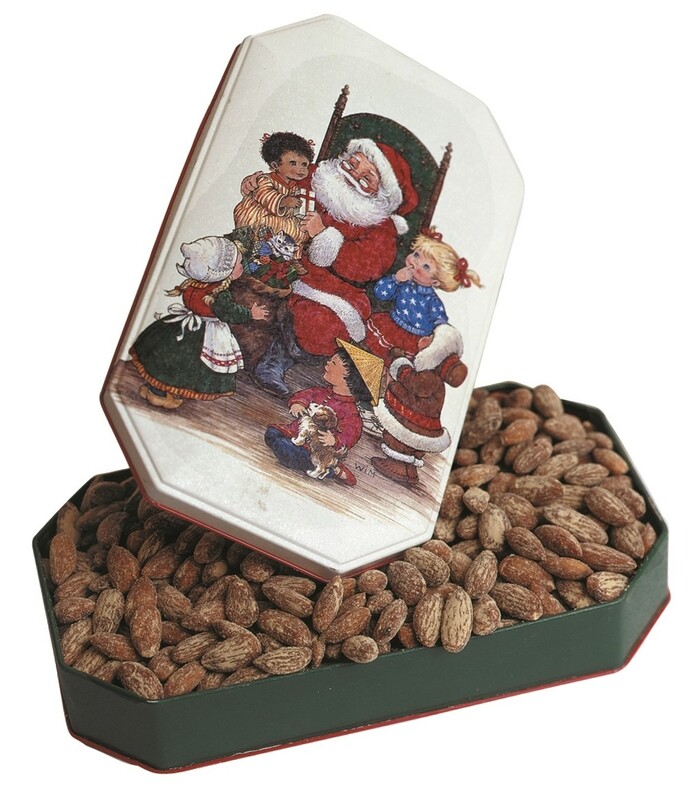 We take 2 pounds of freshly roasted almonds, smoke flavor them, and put them in a most unusual and colorful tin. The tin is a collectable that has not been produced for over 25 years. It has an unusual raised dome shape, is embossed in relief, and will never be produced again because of the exceptionally fine workmanship necessary to make it. 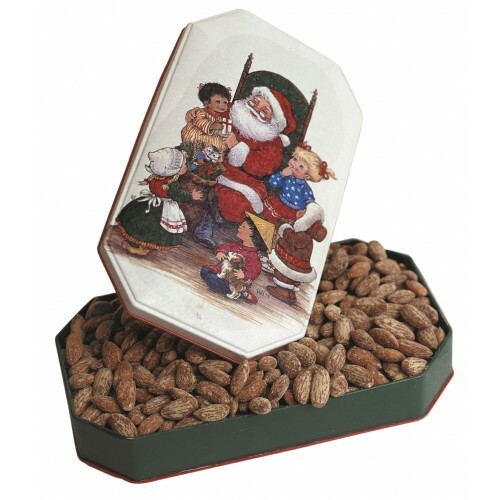 This combination of a traditional smoked almond made by us, and placed in a world heritage decorative lithographed tin makes an exceptional gift idea!